Certain applications on the www.kingstongrand.ca and www.tixhub.com internet sites may require users to register or to provide personal information in order to make a commercial transaction (e.g. purchase tickets to a show), to enter a contest/promotion, or to subscribe to a newsletter (detailed information on each is provided below). Such personal information is not shared or sold to third parties unless users are otherwise notified and give their consent. 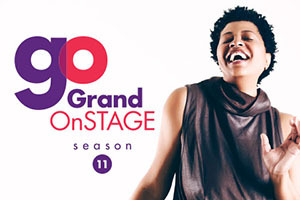 In some cases, www.kingstongrand.ca and www.tixhub.com may act as a telephone or online sales agent for a third party presenter, producer or venue. In such cases, your purchase of tickets through our web sites or telephone ordering system constitutes your consent for the sharing of your personal information with the actual ticket-seller, which may use your personal information in accordance with its own privacy policies. Similarly, some contests, sweepstakes, special offers, package offers, discounts and reward programs offered through any of our web sites or phone operations centre may also be sponsored by third parties which may accordingly have access to your personal information; your participation in any such contests or special offers constitutes your consent to the sharing of your personal information. The Grand Theatre provides a free online e-newsletter referred to as Grand Theatre's e-mail newsletter. Only if you voluntarily provide the Grand Theatre with your name, mailing address, e-mail or any demographic information, will we contact you. The Grand Theatre's e-mail newsletter will be sent periodically with special offers, updated information and new services. Any e-mails sent through the Grand Theatre's e-mail newsletter or other electronic correspondence sent to you by the Grand Theatre will always offer you the option to be removed from the e-mail/electronic mailing list. If you wish to be removed from the mailing list, follow the unsubscribe instructions. If you wish to modify information that you provided to the Grand Theatre please contact us at grandtheatremedia@cityofkingston.ca. The Grand Theatre's e-mail newsletter is sent through an Email Marketing System (EMS) that is managed by Constant Contact. An Email address is required when making a purchase online through the www.tixhub.com internet site in order to complete the transaction. The Grand Theatre will protect any personal financial information that you share with us. If you make a purchase on-line through www.tixhub.com for any of our productions, we will use your credit card number only to process your payment and will not use it for marketing purposes. For reasons of security, credit card information is not stored on our web server. We will retain order information for our records, but this information is never shared with third parties. Any web page on our site(s) that requests credit card information is encrypted, using Secure Socket Layer technology for your protection. The Grand is your place for entertainment with hundreds of performances and events over the years. Let’s make it a Grand evening.